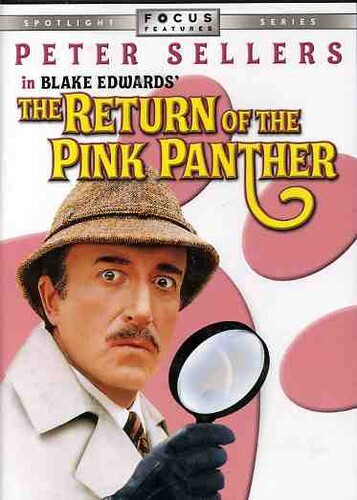 That famous jewel, The Pink Panther, has once again been stolen and Inspector Clouseau is called in to catch the thief. The Inspector is convinced that 'The Phantom' has returned and utilizes all of his resources - himself and his oriental manservant - to reveal the true identity of 'The Phantom'. Direction: Blake Edwards Actors: Catherine Schell, Christopher Plummer, Herbert Lom, Peter Arne, Peter Sellers Special Features: Anamorphic 16x9, Widescreen format. Language: English / Sub. French, Spanish Year: 1975 Runtime: 120 minutes.